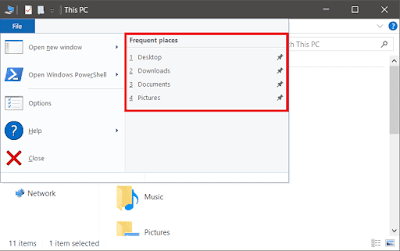 Windows 10 keeps track of all the files and folders you access and displays that information in number of places unless you turn this feature off. The goal of this feature is to make it easier for us to access frequently visited items. It'll save a lot of clicks to open the last item, in a case, such as, when an app crash and we have to close it. For example: When you right click on the Google Chrome icon in the taskbar, you'll see a list of top ten most visited sites, and few recently closed tabs. 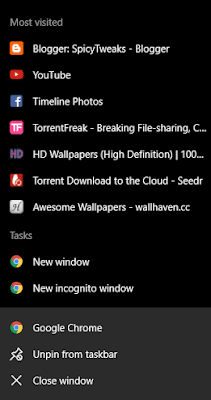 Or when you right click on an app such as Paint or File Explorer in Start, you'll see a list of recently opened files. See image attached below. 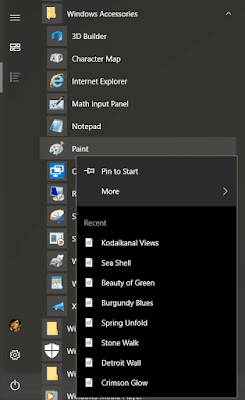 These lists are also displayed when you go to the file menu in File Explorer or Paint. You can even pin an item in the list. This feature can be useful for many users, but if you're the one who like clean interface then you can turn it off. 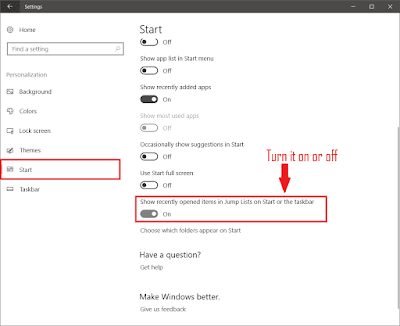 Follow the following steps to toggle this feature on or off. Tip: Press Window + I key together to open the Settings app. 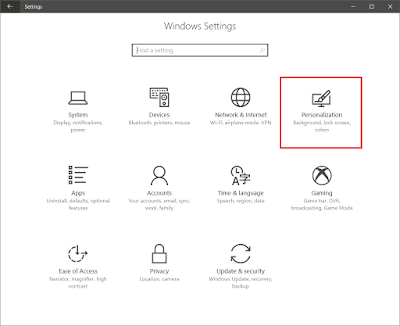 Read: Full List of Keyboard Shortcuts for Windows 10. Click on the Personalization icon. Click on Start on the left side and turn on or off "Show recently opened items in Jump Lists on Start or the taskbar" as per your desire. Turning off recent items and most visited places will clear all recently visited items from jump lists and file menu from all the apps. However, items you have pinned will stay there unless you unpin them manually.